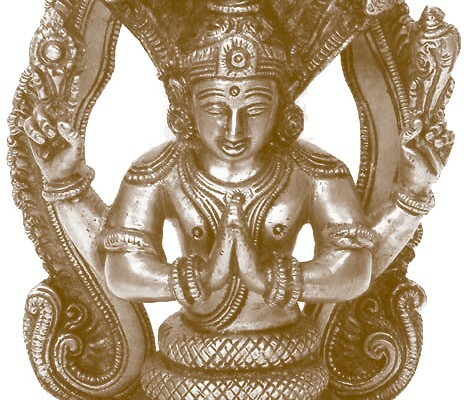 Principles that run contrary to yama (attitudes to cultivate – truth, non violence, non stealing, not wasting of energy, not being greedy) and niyama (observances to cultivate in oneself – cleanliness, contentment, austerity, self study and devotion) are to be countered with the knowledge of discrimination. The Vitarkas are the thoughts of violence, lies, greed etc. contrary to the yamas and niyamas outlined above. Vitarkas are negative thoughts. Patanjali says that they will arise out of the citta – how could they not? They are merely the cropping up of samskaras – of past impressions, of things we have done that are stored in the memory. We are all tormented by negative thoughts at times. Patanjali says that we have to cultivate counter thoughts. This sutra contains one of the key concepts in Patanjali’s instruction on the eight limbs of yoga. Yoga is skilled action – knowing when to do more, knowing when to do less, this is a constantly moving target that we have to be aware of. As Manouso Manos says, yoga is about “keeping your eyes on the job”. Paksa means to take one side of an argument or action, and Pratipaksa means doing the opposite. We practice a little of this, and a little of that – trying to find a middle ground. This middle ground is found through our yoga practice of self study and examination. The middle ground is always changing (as nature is always changing). However, through finding moments of middle ground we find ourselves less doubtful, and perhaps more clear as to the right action for that moment. The instructions given in a yoga class present this practice to us in a clear and concise way. We press the heels down, and lift the chest up for example – too much of one or the other creates strain. However, if one does both simultaneously, watching for the slightest change then one cannot over do, one finds a middle ground. We go from one known action and another known action that is directly in opposition and we mix them together until we find a third action which derived by skill and discrimination. This third place – the middle ground of the initial action and it’s opposite – is often a new place for us. It is perhaps the acknowledgment of the paradox that life presents on a daily basis. Post-secondary students get 25% off class* registration.